Spun off by Cablevision in early 2010, Madison Square Garden (MSG) has seen its shares triple since coming public, currently trading just 10% shy of all-time highs. Despite this run-up, I believe there is room for further appreciation. For the purposes of this report, we will view The Madison Square Garden Company as a holding company, and use a sum of the parts analysis to determine what we believe to be MSG’s intrinsic value. Much more than just their world-famous arena, this company is composed of numerous valuable assets and operates in three segments: MSG Media, MSG Entertainment, and MSG Sports. MSG Media is made up of MSG Networks and Fuse Networks, who is currently being shopped around by J.P. Morgan. The entertainment segment hosts and presents various concerts in MSG’s venues, as well as creates and produces various live acts such as the Rockettes. The MSG Sports segment houses the New York Knicks and New York Rangers, two of the most valuable franchises in their respective sports. Also of significant value is the companies namesake, the Madison Square Garden arena, the most iconic sports and concert venue in the world. All pieces accounted for, MSG contains an extremely valuable collection of assets that can be easily distinguished and valued. MSG Media is the most valuable segment of the company, accounting for nearly half of the total revenue. MSG Networks, broadcaster of the New York Knicks and Rangers games, is one of the most profitable regional sports channels in the country. In recent years the value of regional sports broadcast rights has exploded, the Los Angeles Lakers are in the first year of a 20 year, $3 billion deal with Time Warner. Even more recent, Time Warner secured the rights to broadcast the Los Angeles Dodgers games for the next 25 years for $8.5 billion, the largest such contract in history and one that will set the precedent for regional rights contracts to be negotiated in the future. In the past 12 months, MSG Media produced Adjusted Operating Cash Flow (AOCF- defined as operating income before depreciation, amortization, share-based compensation, and restructuring charges) of $349.5 million and operating income of $328.6 million, increases of 35% and 44% respectively. While Fuse Networks is accounted for in these numbers, it is worth noting that MSG Networks commands $4.91 per subscriber monthly while Fuse charges providers only $0.06 per viewer per month, so we will assume Fuse’s contribution to profitability numbers are next to nothing. Traditional media companies such as CBS (CBS), Viacom (VIA), Disney (DIS) and 21st Century Fox (FOX) generally trade at 10-12x EV/EBITDA. Applying these multiples would yield a valuation range of $3.4 billion- $4.1 billion for MSG Networks. With earning growth rates far outpacing those of CBS, DIS, FOX and VIA, and the exploding values of regional sports TV contracts, I view valuation multiples in the 12-14x EV/EBITDA range as more appropriate for MSG Networks. MSG has recently retained J.P. Morgan to explore a sale or any strategic alternatives after being approached by multiple parties expressing interest in acquiring Fuse. Analysts expect a sale and expect it to net $300-$400 million. Assuming a fair valuation range of $4.1 billion- $4.75 billion for MSG Networks given our suggested 12-14x EV/EBITDA multiple, and an expected $300- $400 million of value unlocked through a sale of Fuse, I believe the MSG Media segment is worth $4.4- $5 billion. As of today’s close, MSG has an enterprise value of $4.15 billion. Yes, by buying at current prices you are buying MSG Media at a slight discount and getting a bunch of other extremely valuable assets for free at the same time, so lets determine what these other assets are worth. For the purposes of valuing the New York Knicks and New York Rangers, we are going to begin with the most recent Forbes valuations of each and make some necessary adjustments to determine their worth. Forbes currently estimates the Knicks value at $1.1 billion and the Rangers at $750 million. Of this combined $1.85 billion, $543 is attributed to the stadium, which we will back out of our valuation. For their valuations Forbes defines “market” as the portion of a franchise’s value attributable to its city and market size. While a subjective figure, Forbes places a value of $838 million on the “market” for the two franchises. With about half of the Knicks media revenue generated locally through their TV stations, and 70% for the Rangers, we will adjust the value of their “market” to reflect that fact that we have already valued MSG Network separately. I don’t feel it is fair to discount a full 50% and 70% respectively of their values as they generate revenue in other avenues and I feel a good deal of their “market” value is derived from the fact that they are two of the most storied franchises in the NBA and NHL and have fans that will show up win or lose, so we will take 15% off the Knicks and 25% off the Rangers Forbes “market” values. After these adjustments and backing out the value attributed to the stadium, we place a value of approximately $1.15 billion on the two franchises, a number that seems extremely cautious given the inflated prices over perceived true valuations that sports franchises have been acquired for in recent years. Outside of the Garden, MSG has a sizable portfolio of properties consisting of Radio City Music Hall, the Beacon Theatre, the Forum, the Chicago Theatre and the Wang Theatre. 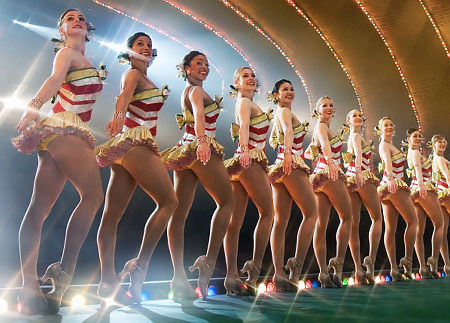 They also own the production company for numerous shows hosted at these venues, most notably the Rockettes. We estimate the value of these properties at $350 million. We own the Madison Square Garden building, the platform on which it is built and certain development rights (including air rights) associated with the lot. Madison Square Garden sits atop Pennsylvania Station, a major commuter hub in Manhattan, which is owned by the National Railroad Passenger Corporation (Amtrak). While the development rights we own would permit us to expand in the future, any such use of development rights would require various approvals from the City of New York. The real estate around Madison Square Garden is owned primarily by Steve Roth and Vornado Realty Trust. He has been pushing unsuccessfully for years now to get the Port Authority to fund a purchase of Madison Square Garden arena and its air rights, so that Penn Station can be transformed through a massive renovation. The project has been unable to gain footing because of the highly restrictive costs of buying Madison Square Garden and its air rights, a transaction estimated to require $2 billion to complete. This number may sound high but when you consider that the aforementioned development rights account for 5.4 million sq ft, through simple calculations we can see it is not. At a conservative $250 per square foot, 5.4 million square feet would be worth $1.35 billion. If we place a value of 65% of the completing renovation’s costs, the arena itself would be valued at $650 million, placing a value of $2 billion on Madison Square Garden arena and its development rights. Having now placed an individual value upon all of Madison Square Garden’s meaningful assets, we can sum up the parts and come up with a fair value of the company as a whole. We have placed a valuation of $4.4- $5 billion on MSG Media, $1.15 billion on the Knicks and Rangers, $350 million on venues outside of the Garden, and $2 billion on Madison Square Garden and its air rights. After summing these figures up, I believe an enterprise value of $7.9- $8.5 billion would represent a fair valuation of the Madison Square Garden Company, a significant premium to today’s closing EV of $4.15 billion.